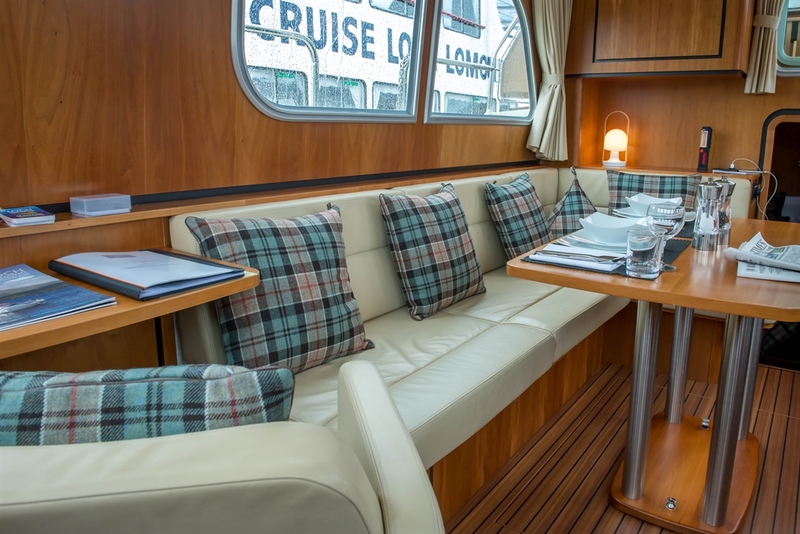 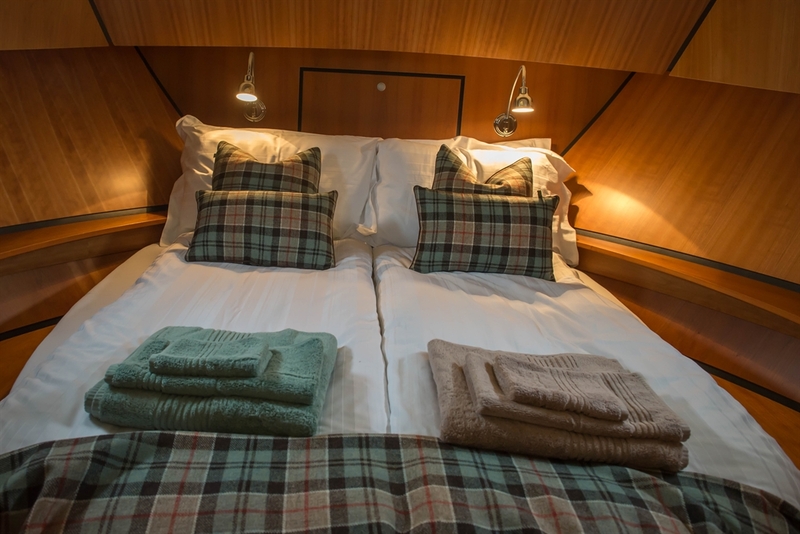 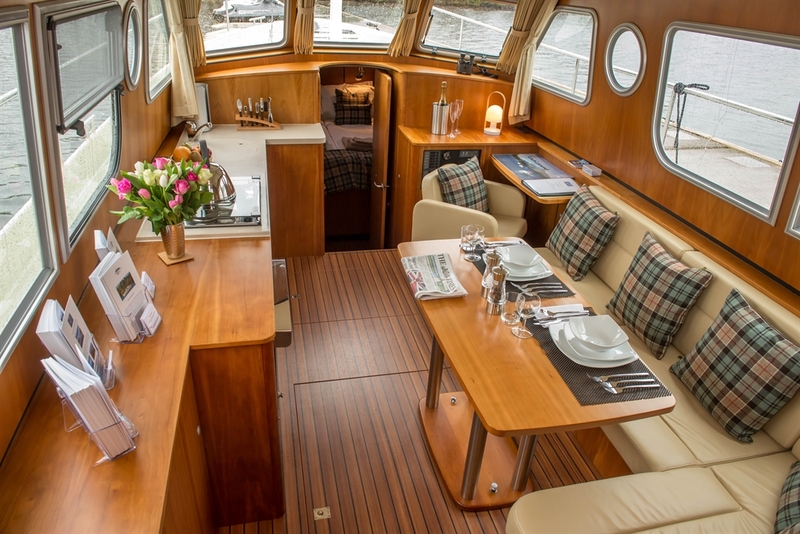 Luxury Boating Holidays on Majestic Loch Lomond. 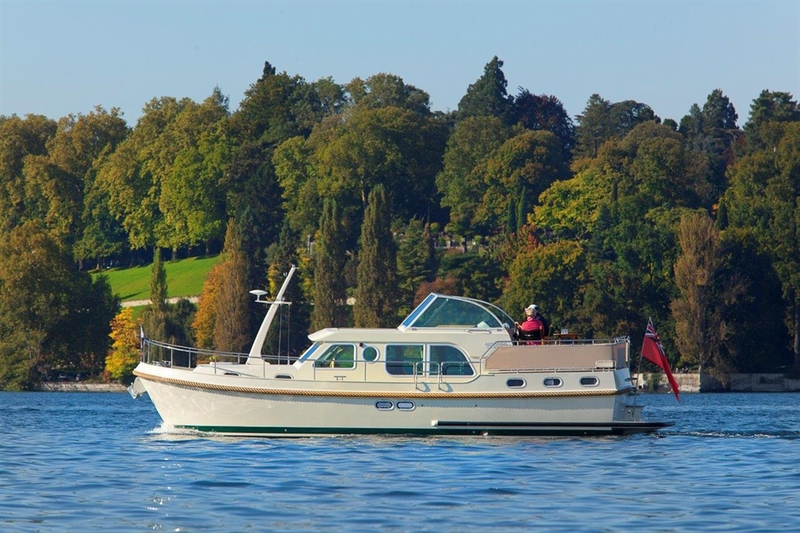 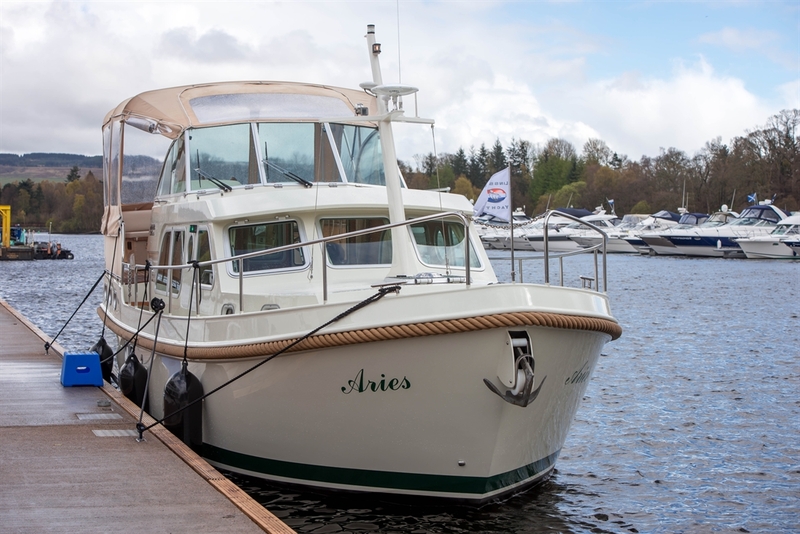 Self drive luxury linssen motor boat based at the five star Cameron House Resort Loch Lomond. 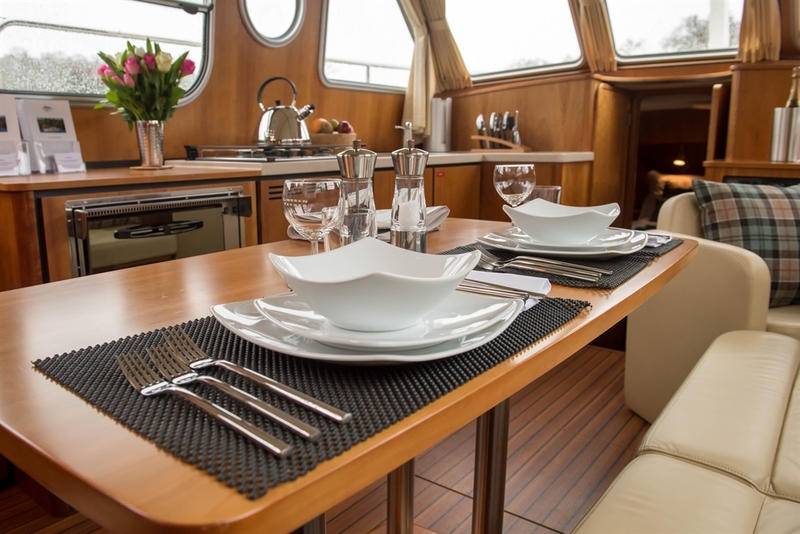 Fully equiped vessel fitted to the highest standard with 2 double ensuite cabins.